The recent passing of Brother Rolando Dizon FSC is yet another stark reminder that time takes no prisoners. Aside from Brother ‘Roly,’ Brother Rafael Donato and Brother Andrew Gonzales were two more of what – to my mind – had been a great generation of Brothers who brought the fraternity and their schools the prestige they all now enjoy. Each now rests in a concrete tomb in a mausoleum inside the grounds of what the Brothers themselves jokingly refer to as the first and last assignment: the Novitiate in Lipa City just behind the school. All three were among the great Brothers of my youth. I cannot, for the life of me, recall exactly when and how I met Brother Roly. I do not recall that he was ever assigned to Lipa. That is why I have always wondered how he knew me enough to remember me and always call me by my first name. Perhaps he visited Lipa when I was a student and I came to know him then. It could also be that he visited the school when I was already teaching. It was not unusual for Brothers from other schools to speak to faculty at odd times during each school year. My most vivid recollection of Brother Roly, however, was this chance encounter when I was with fellow school administrators at the ground floor of the Waterfront Hotel in Cebu City. It was a Catholic educators’ convention late in the nineties; and he was looking for members of the administrative team of the university of which he was then President. We were stunned; but eventually amused. Amongst us, we were sympathetic and told each other that he would not be fuming mad had he been our President instead. God knows, we laughed amongst ourselves, that we stuck to our own President Brother Rafael Donato like chicks to a mother hen; and that there was probably more chance of the Brother Lolo running away from us! Although Brother Andrew was the President of the university from where I graduated, I only knew him from afar. In fact, although I had known him since the late seventies, the only time that I ever came up close to him was when we were inaugurating the final cluster of what is now known as the St. La Salle Building. We were aware that he and the Brother Lolo, who was our President at the time, sometimes did not see eye to eye. So we wondered if Brother Andrew was being sly; although for all we knew he was simply citing his own experience with the university in Manila. He smiled back politely. The next time that I saw him was not long after. He was inside a coffin at the university chapel where the wake was being held for yet another of this great generation of Brothers. I used to wonder how things would have turned out for Lipa had Brother Andrew been sent instead of the Brother Lolo. No disrespect to Brother Rafael. It was just that I had never really known Brother Andrew except from a distance. Of course, my association with Brother Rafael is something well-documented in this blog. He was the Principal when I was a grade school student; and of course I worked in administration under him for all of nine years! I think the only remaining members of this generation are Brothers Benildo Feliciano, Brother Crisanto Moreno and Augustine Bocquer. 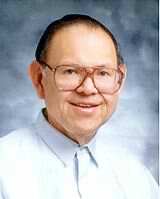 Brother Crisanto I will always remember as the Principal when I was a freshman high school student. Those from Greenhills, of course, will remember him as the Brother of the big dome. I used to see him from time to time down the years; and the last time I was not even sure that he could remember me. Brother ‘Gus,’ meanwhile, was actually assigned to Lipa before I enrolled in the school as a Grade 5 student. I think he left just as I was coming in; and since he spent the next three decades either in Greenhills or Bacolod, I never got the chance to work with him. He is currently the President of Dasmariñas, by the way. Others, in their own way, were of course just as great. Brother Gregory Refuerzo, for one, never became President of any school; but he is fondly remembered in these parts. There were other influential Brothers during my formative years but who eventually left the fraternity. Brother Emiliano Hudtohan and Brother Samuel Bueser come to mind. These were the barong Brothers. I did not think anything of the barong until the Brother Lolo told us that it was a symbolic protest against the wearing of the habit by the Filipino Brothers in the sixties. 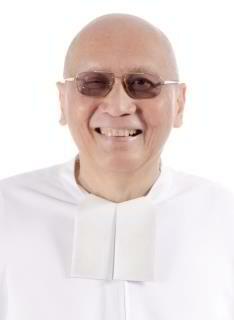 That is why, in my entire life, I think I saw the Brother Lolo wearing the habit only once or twice; three at the most. I am not sure if I should include Brother Victor Franco or Brother Ray Suplido among those I have mentioned. That is, I am not sure if they are old enough. I have known Brother Vic for sometime because he used to be at the Novitiate and I used to see him ever so often. As for Brother Ray, and this may surprise many, but he was actually my football coach for six months when I was a sophomore in high school.